Biffy Clyro are my favourite band. Most of my friends are probably sick of how much I rave about them. If I had to pick my favourite release of theirs it would have to be the Revolutions // Live at Wembley CD/DVD set. They have a lot of strong albums to pick from, but Revolutions collects most of their best material, and some of the live versions are better than the studio versions. 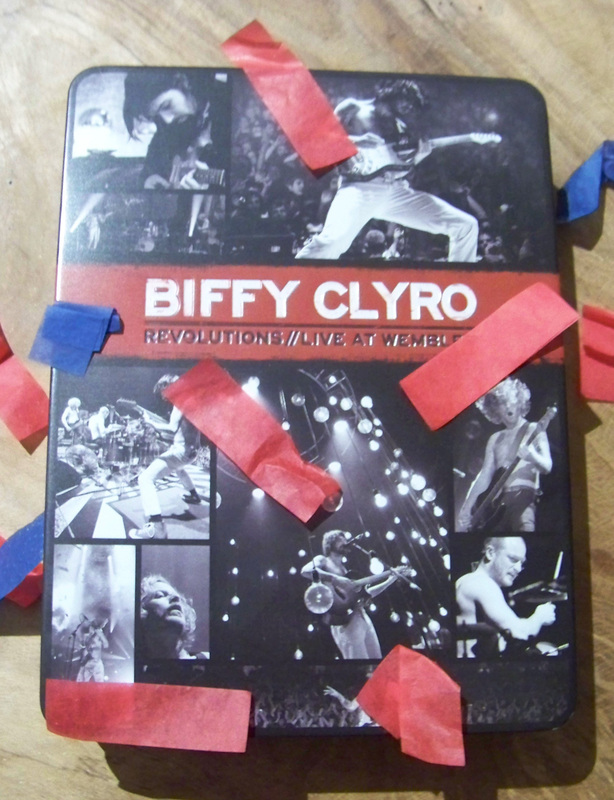 I’ve used that DVD to convert many of my mates into Biffy believers. The limited edition tin box set that I own is excessive. It came half full with confetti from the concert, along with a piece of wood from a smashed guitar, stickers, a poster, a copy of a diary from the tour manager, and the all important CD/DVD. It cost me an arm and a leg – paying the currency conversion fees and international postage – but I don’t regret it in the slightest. The DVD includes 25 of Biffy Clyro’s best songs that they’d released at that point. Hard hitting rock anthems, emotional acoustic songs, sing-along ballads, and weird indescribable early eclectic stuff. Material from their most recent studio album, Only Revolutions, hadn’t changed much while transitioning from studio to live setting, but it was clear that some songs from their early days had evolved over time. The best of these was the ’57’, from Biffy Clyro’s début album Blackened Sky. ’57’ is a companion piece to ’27’, another single from the album. It’s written in a typically Biffy unusual style, showcasing their penchant for mathy riffs with odd time signatures. For a three-piece band to work well, every member needs to be pretty capable on their instruments. This more than applies to Biffy Clyro, whose three members are all phenomenally gifted. They even split vocal duties in this song. ’57’ features aggressive grungy loud/soft dynamics, such as the quiet “do, do ,do” prechorus that leads into the explosive chorus. The debut album Blackened Sky, in lilac purple. This pressing also features nine B-sides on a second LP. ’57’ is a highlight of Blackened Sky, but the live version was so much more exciting and energetic, somehow rejuvenated. Maybe it’s because it was one of the first songs that the band recorded, giving them about 10 years to hone and improve it before they filmed it at Wembley. The infectious “HEY”s in the chorus work so much better with everyone in the crowd shouting it. Needless to say, I was over the moon when they played it at their first ever New Zealand show. It was certainly a highlight from an already outstanding set. Usually studio recordings are better quality than live versions, because songs can be edited and touched up during production. Revolutions is a rare exception to that rule, with ’57’ being the most standout example. 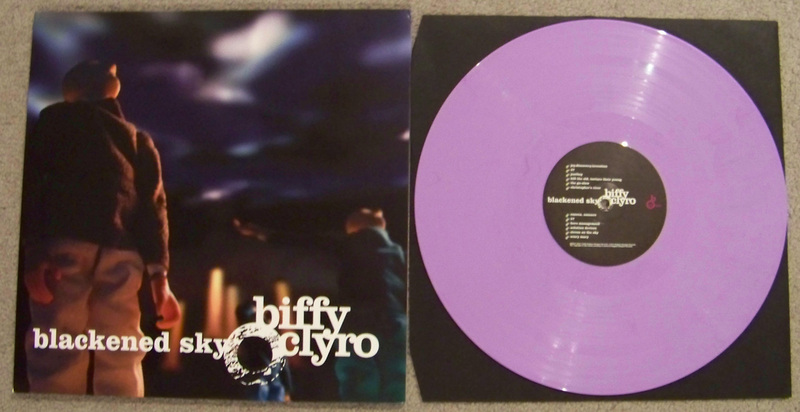 You can find live versions of songs that Biffy have written since Revolutions on Opposites: Live at Glasgow, but sadly the audio quality for the latter isn’t nearly as good.